Thank you for your interest in Whiskey Island Marina. 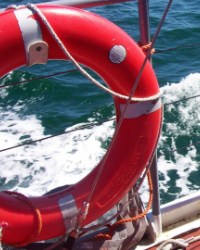 We have had numerous phone calls and e-mail inquiries for joining our marina. Unfortunately, for the upcoming 2019 season, we are completely full on all of our dockage, rack storage and jet ski docks. Please call in the fall if you would like to be placed on our waiting list. 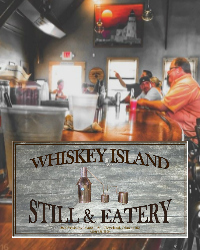 Whether you're looking for a fun place to dock, weekend getaways, or a great place to just relax with your family & friends, Whiskey Island has something for everyone! With our amazing views, spectacular events and Cleveland's newest lakefront park, Cleveland's best kept secret is no longer a secret. Come visit us today and see why so many people return to Whiskey Island Marina day after day. 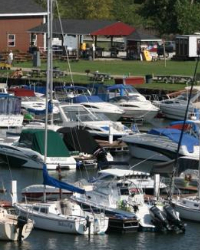 Whiskey Island Marina is more than just a place to dock your boat. With friendly staff, great amenities, good food & events at our Still & Eatery and amazing views of Lake Erie & downtown Cleveland, it's the best place in Cleveland to sit back, relax and have fun! It offers amazing experiences and great friends and has become a home away from home for many.